Magi from the east came to Jerusalem and asked, “Where is the one who has been born king of the Jews? We saw his star in the east and have come to worship him (Matthew 2:1 NIV). I just love that story. During this holiday season, I watch as people scurry about swiping those plastic cards through the credit card machines faster than a speeding bullet. And yet, God has already shown us that the most precious gifts cannot be bought or sold. Dear God, thank You for the gift You gave us through your Son, Jesus Christ. I pray that I will keep gift giving in perspective this holiday season and give gifts from the heart rather than the pocketbook. Help me to see that a “long walk,” or a portion of myself, is the greatest gift of all. Describe a time when someone’s sacrificial gift meant a lot to you? Describe the feeling you had when you gave a portion of yourself, such as your time, to someone. Try to imagine the teacher who received the shell. What thoughts do you think came to mind when she looked at it year after year? Do you think it was the shell itself, or the heart of the boy who gave it to her? Now, imagine how God looks at our gifts we give to Him? Do you think He reflects on the gifts themselves or the heart of the child who gives it? What is the best Christmas gift you can give your husband this year? It’s not something that you can purchase from a sporting goods store or department store. It’s the gift of prayer. 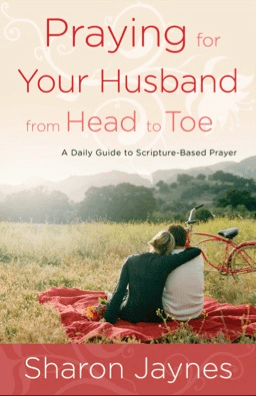 If you’re not sure what to pray or how to pray for your man, Praying for Your Husband from Head to Toe: A Daily Guide to Scripture Based Prayer will show you how. Learn how to pray powerful and effective prayers that will impact your married man.